Looking for excitement and adrenaline? 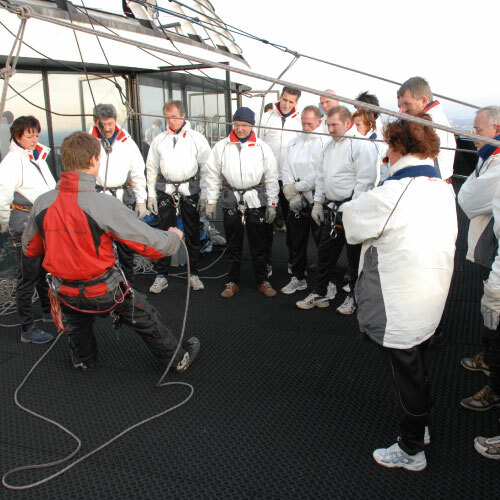 The abseil or the zip wire from the Euromast is a unique experience for your teambuilding day, company outing or bachelor party. 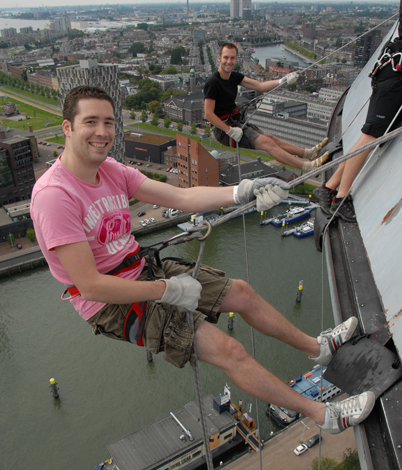 Since 1996, Height Specialists has provided safe and professional abseiling from the Euromast. If your group is at least 20 (abseiling) or 35 (zip line), we can arrange a tailor-made event for you. Contact us for the possibilities. 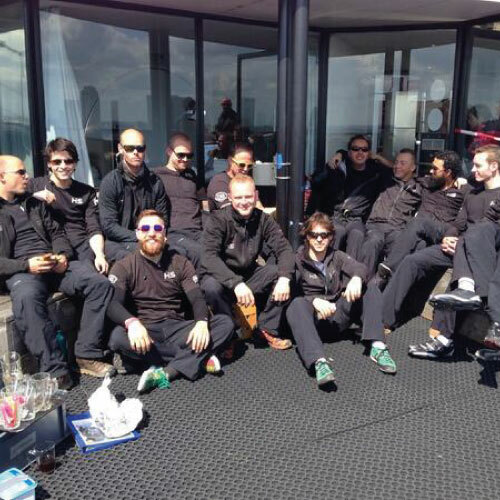 The costs for an ‘exclusive abseil event’ are € 1.180,- for 20 descents. Each extra descent costs € 59,-. The costs fora n ‘exclusive zip line’ are € 2.065,- for 35 descents. Each extra descent costs € 59,-. You have made your reservation online at a regular descent-date or directly with Height Specialists (in case of tailor made group reservations). At the day of your event you need to register at the Euromast reception desk. For the descent-participants the entrance of the Euromast is included. For all other non-participants, who want to go to the platform, the entrance-fee of the Euromast will be charged (more information at ‘information/costs’). All participants must read the terms and sign the mandatory disclaimer. With the elevators the group goes up to the platforms at 100 meters height. There they meet the instructors of Height Specialistst. 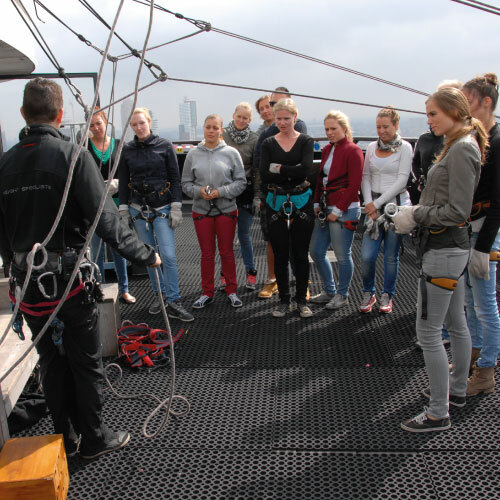 All participants will get a fitting harness, gloves and a comprehensive instruction. We recommend to read the general information about abseiling or the zip wire, terms and disclaimer, costs and payment. In case of tailor made reservations, other conditions apply, about which Height Specialists will inform you. From the brasserie (1 floor below the platform) the viewers can see the participants, while having a drink and waving at you. For groups it is necessary to make a reservation for the brasserie if you want to have a drink, lunch or dinner: +31 (0)10 – 2411788.